More and more details are being collected and reported on the California shooting spree that took place across the Rancho Tehama Reserve on Tuesday morning. 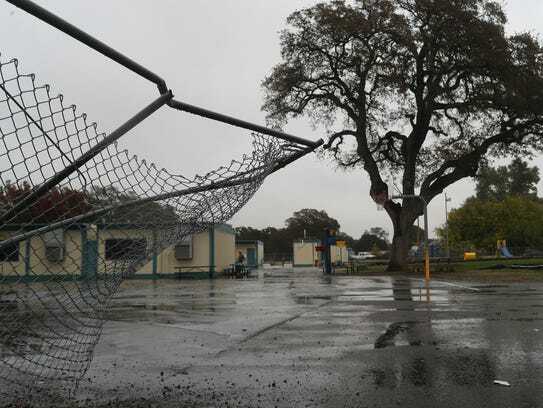 With five people dead and two elementary school students injured in the domestic violence incident and school rampage, the shooting could have been even more deadly—fortunately, a brave custodian at Rancho Tehama Elementary School stepped in at the right moment. Richard Fitzpatrick, the superintendent of the Corning Union Elementary School District, recognized all of his staff involved during the shooting, but the school's head custodian received special praise for his actions, USA Today reports. The custodian, who does not wish to have his name released to the media, is being recognized for diverting the attention of the shooter, 44-year-old Kevin Neal, just long enough so that the teachers could ensure the safety of their students while completing a lockdown. "The reason that I'm standing here today and I'm able to speak to you without breaking down and crying is because of the heroic efforts of our school staff," Fitzpatrick said during a press conference on Wednesday, according to USA Today. Fitzpatrick details what occurred at the school that morning, where a school secretary and other staff members heard gunshots. "At that time, immediately and without any instruction from law enforcement, our school staff went into lockdown," Fitzpatrick said. The custodian helped bring children and parents who were outside and on the playground into a classroom to safety. When he saw the gunman, who jumped out of a pickup truck he crashed through a fence, the custodian diverted the shooter's attention just long enough so that the teachers could complete the lockdown. The gunman had charged onto campus with a rifle and, from what Fitzpatrick reports, it's understood that the custodian made "eye-to-eye" contact with the shooter, who began firing shots. Fortunately, Neal then experienced issues with his rifle, leaving the custodian unharmed. According to Fitzpatrick, about 10 seconds took place from when the shooter arrived on campus to the completion of the lockdown, so those 10 seconds when the custodian stepped in were absolutely crucial. Neal attempted to enter the building and fired several more shots before driving off. He was shot and killed by police not long after on Rancho Tehama Road. The heroic actions of the school's custodian will forever be remembered and, in times of such fear and uncertainty, it's important to recognize the heroes and the helpers.